Luis Suarez takes no prisoners in Barcelona win, Real Madrid get something to celebrate as Thierry Henry loses his cool. 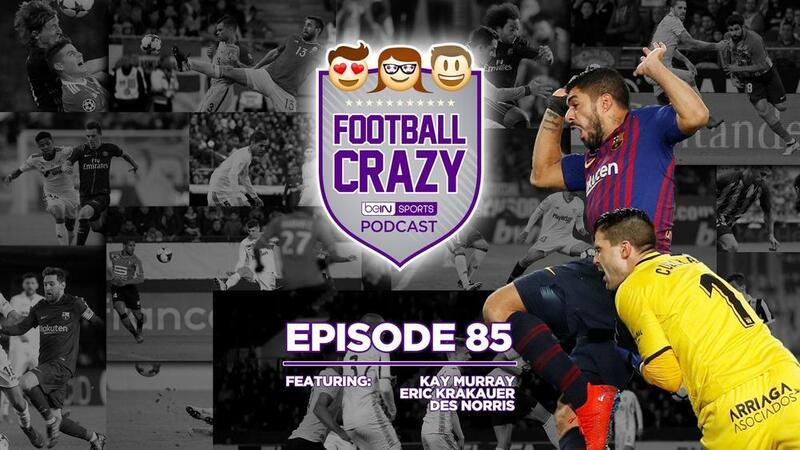 On this week's Football Crazy, Diego Lainez gets off to a winning start to life in La Liga, Ivan Cuellar takes a knee... to the head, Martin Braithwaite has a week to remember, Luka Modric gets over his World Cup hangover and Atleti find form in the fog. In France, potty-mouth Thierry Henry takes his frustrations out on VAR after latest Monaco humiliation, PSG serve up a freezing cold dish of revenge to Guingamp and a last-minute winner sees Lyon claim the Derby du Rhone bragging rights. Over in Inger-land, Chelsea put in a Sarri showing against an Ozil-less Arsenal, Harry Winks spares Tottenham blushes, Liverpool and City do the business and Solskjaer's Man United have Ole gone and won another game! Plus our resident Portuguese puts on a pronunciation masterclass as we relive Wolves' helter-skelter encounter with Leicester. Elsewhere, Galatasaray settle in for the second half of the season by putting six past Ankaragucu, while Turkish Super Lig front-runners Istanbul Basaksehir see off Trabzonspor.